Your Licensed English Speaking Guide will pick you up from your hotel in Paris at 8.00 am in a deluxe private vehicle and you will depart to Fontainebleau to discover one of the most prestigious French Kings’ residences. Upon your arrival, your private guide will present you with an introduction about the history of the castle. 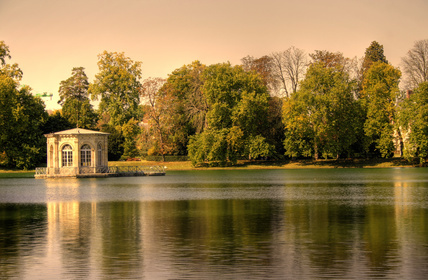 With its Royal town and holiday residence established between the palace and the forest, Fontainebleau has welcomed nobility for centuries. “The true home of kings, the house of ages”, as Napoleon I described it, the Château de Fontainebleau was inhabited almost continuously from the 12th century until the fall of Napoleon III in 1870 and then by the first presidents of the 3rd Republic. You will start your day with the discovery of the main entrance of the castle, the White Horse Courtyard with its famous Horseshoe Staircase built under Louis the XIII’s reign. Following this, you will enjoy a private visit of the Palace, where you will see the Papal Apartment (it acquired its present name from Pius VII who stayed here twice, in 1804 and 1812) and the Renaissance Rooms with the Galerie François 1er. They have maintained their astonishing decoration of frescoes and stucco works produced by the Italian artists Rosso and Primaticcio during the reigns of François I and Henri II. After visiting the Ballroom, you will enjoy a visit of the Emperor’s inner apartments, in particular: the Throne room, the Emperor’s Bedchamber and the Abdication Salon where Napoleon signed his first Act of Abdication in 1814. You will finish your tour with a walk to the Chapel of the Holy Trinity. It was in this chapel that Louis XV married Maria Lecszinska in 1725. After visiting the castle, your guide will take you for a stroll through the different Gardens to discover the Grand Parterre, the Park with its 1200 metre-long canal, the Diana and English Gardens before heading back to the old city of Fontainebleau. It is then time to drive through the charming village of Barbizon, where you will enjoy a delicious lunch. In accordance with your wishes, we will make a booking at the best place. 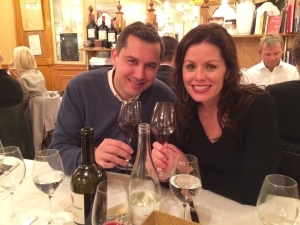 Your guide knows all the authentic and local restaurants away from the tourist crowds, so he can best advise you with your selection. Once the cradle of the pre-impressionist painters of the 19th century, the picturesque village of Barbizon houses museums to Théodore Rousseau and Jean François Millet. Walk with your guide through the main street of this quaint village and discover the famous Auberge Ganne, known as the headquarter for painters. After a delicious lunch, it is now time to discover one of the jewels of French architecture built by Louis XIV’s superintendent of finances, Nicolas Fouquet. Just south of Paris, between the royal houses of Vincennes and Fontainebleau, Vaux-le-Vicomte, also known as the small Versailles, is the creation of three men’s genius: the architect Le Vau, the painter-decorator Le Brun and the landscaper Le Nôtre (the three same men who built Versailles after the downfall of Fouquet). 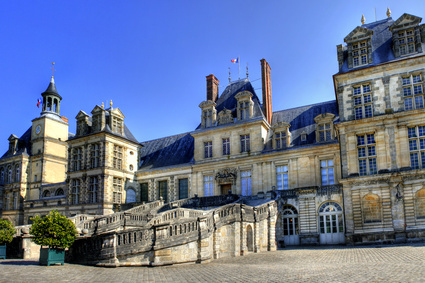 The Château became soon the favorite meeting place of artists and intellectual like Madame de Sévigné, the poet La Fontaine and the playwright Molière. 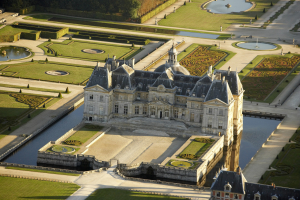 Today, Vaux le Vicomte is the largest privately owned Château in France and is classed as historical monument. On the way to Vaux le Vicomte, he will give you a complete introduction to the century of Louis XIV, and the life of Nicolas Fouquet. You will start your visit by a private guided tour of the castle. You will be amazed by the rich collection of paitings, stuccowork and tapesrties. See the famous entrance vestibule and oval salon, the King bedchamber, the dinning room, the richly decorated state rooms. After a last stroll in the beautiful gardens, you will be dropped at your hotel in Paris.